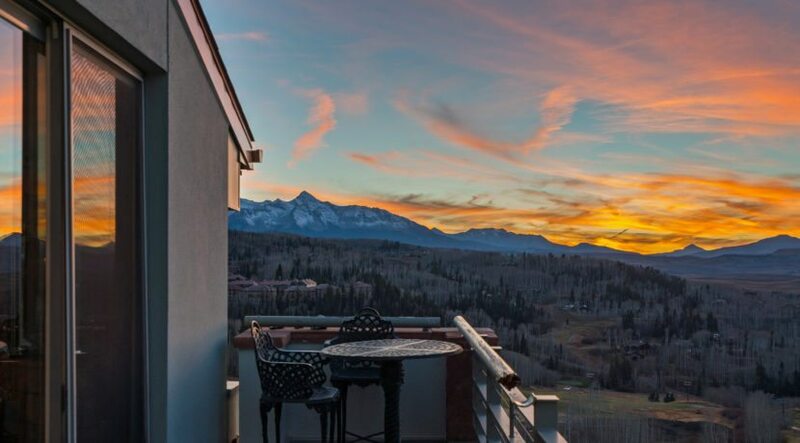 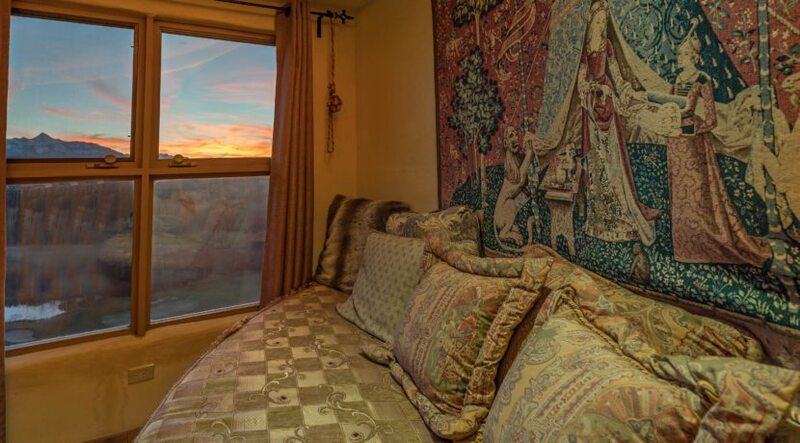 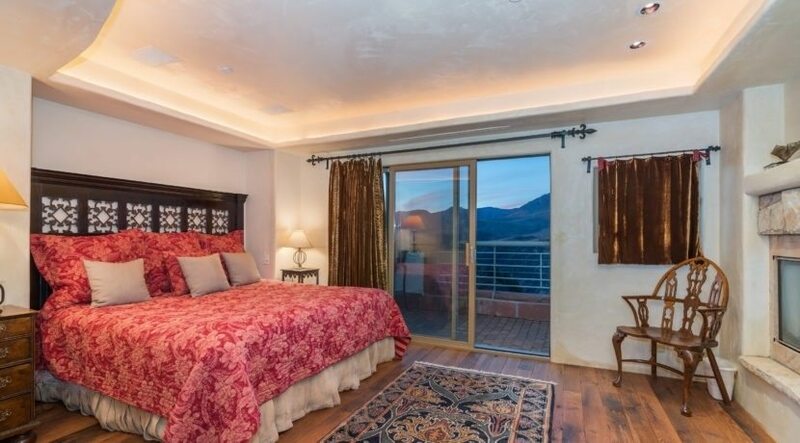 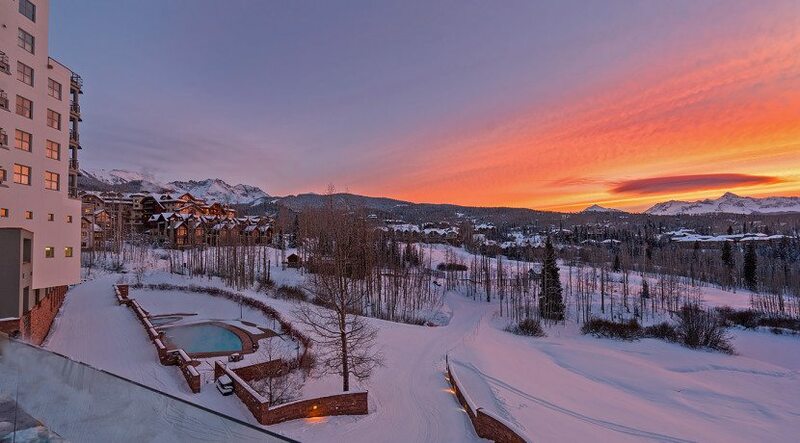 Located in the heart of Mountain Village at The Peaks Resort, Penthouse #622 combines the luxuries of a full service hotel with the comforts of a fully appointed private home. 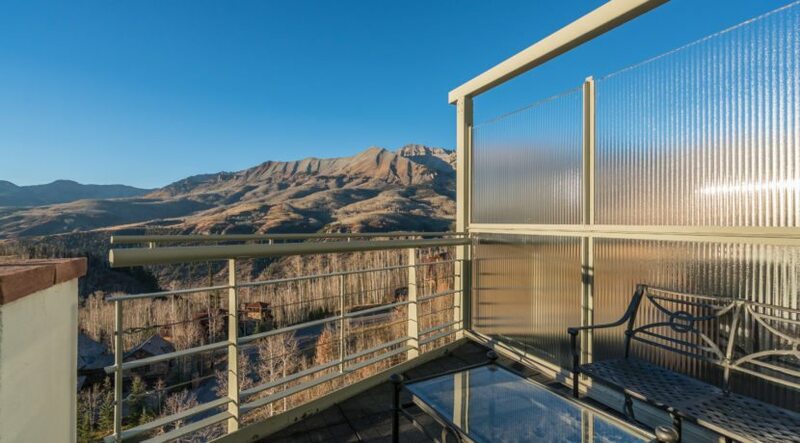 In this one-of-a-kind 3 bedroom/3 bath penthouse, enjoy unobstructed panoramic views from every room. 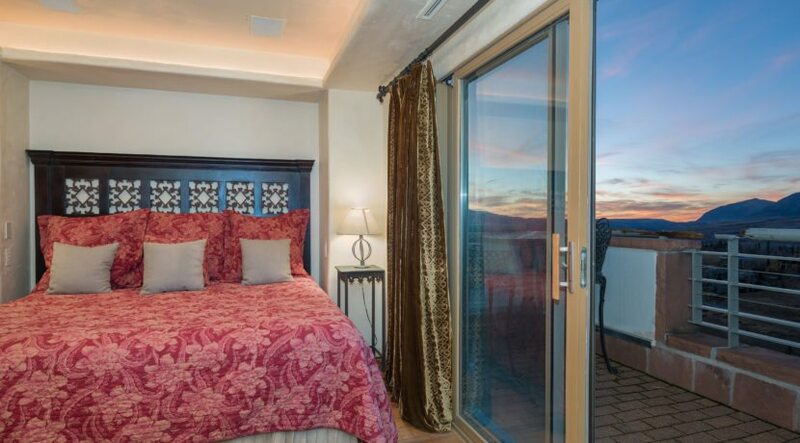 The penthouse’s master suite enjoys a king bed, private balcony, fireplace, separate sitting room with queen sleeper sofa, and attached bath with jetted tub and separate steam shower. 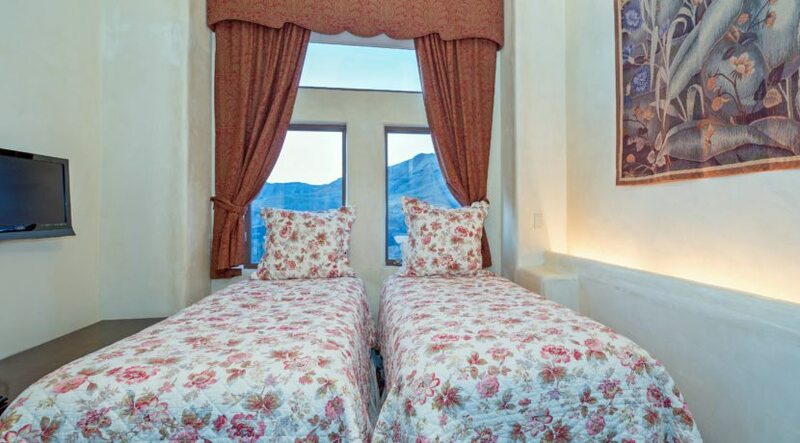 The second bedroom has king bed, small sitting area, and attached bath with jetted tub. 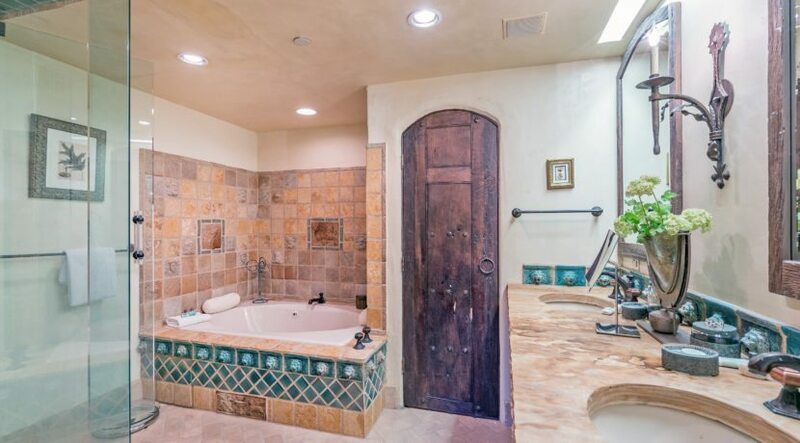 The third bedroom, located on the upper level and adjacent to the living area, offers choice of either a king or two twins and attached bath. 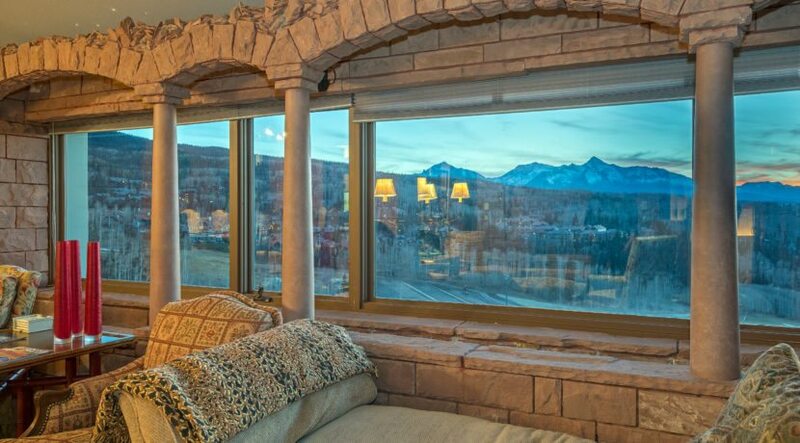 All three bedrooms enjoy flat screen TV’s. 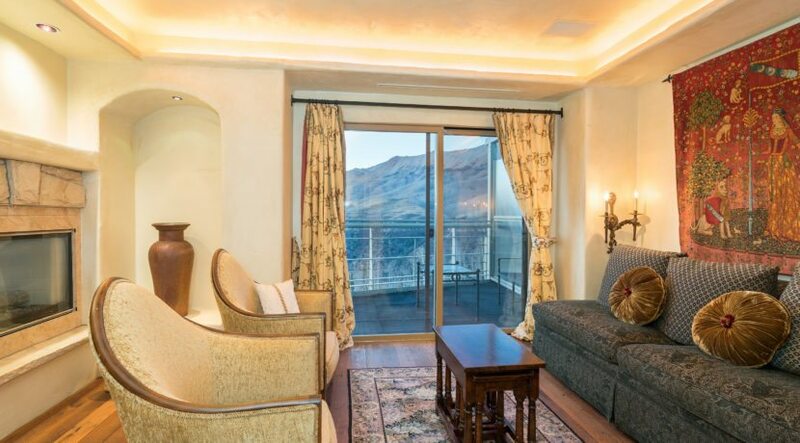 The open concept great room boasts wall to wall windows with unobstructed western facing views of Mount Wilson and spectacular sunsets, as well as a gas fireplace, balcony with views of the San Sophia Ridge, a dining table for 8, and flat screen TV. 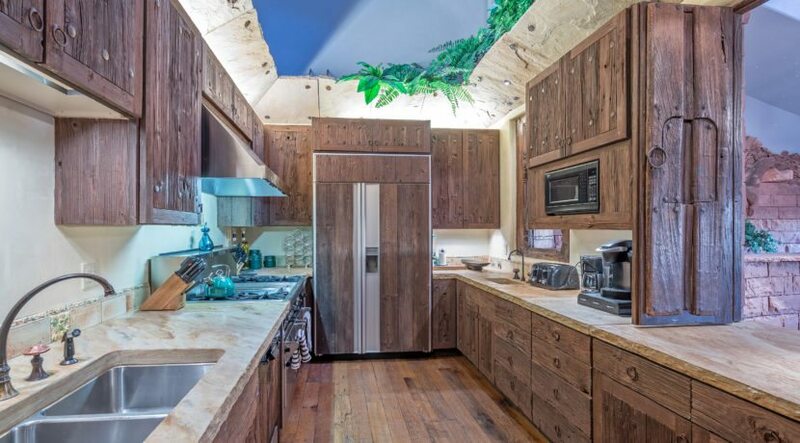 The gourmet kitchen is equipped with sub zero appliances and fully stocked with cook/dishware. 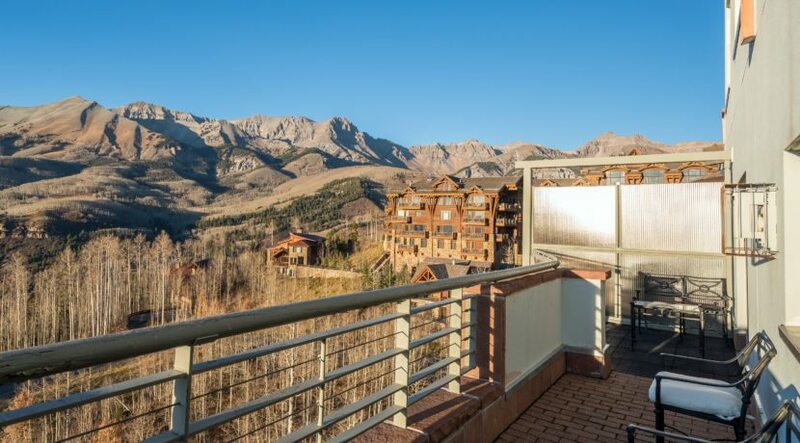 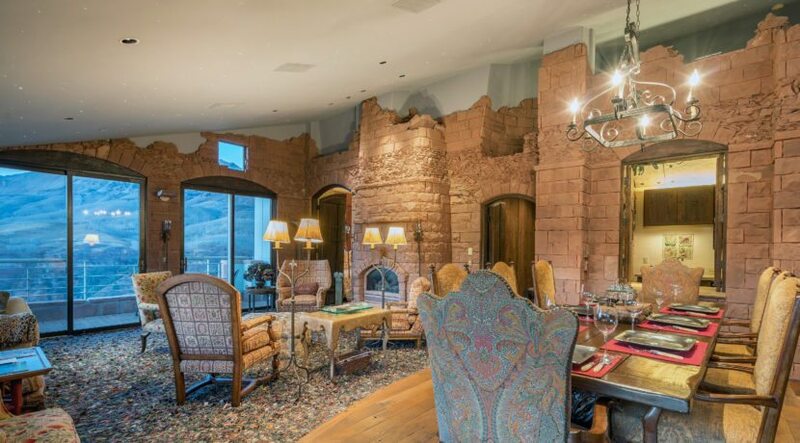 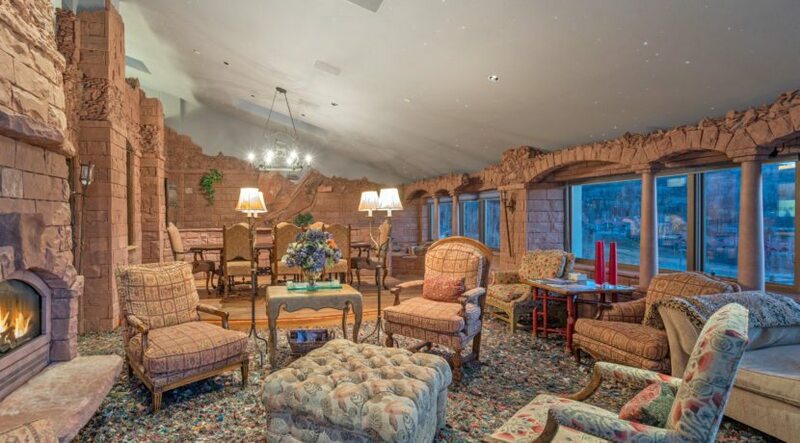 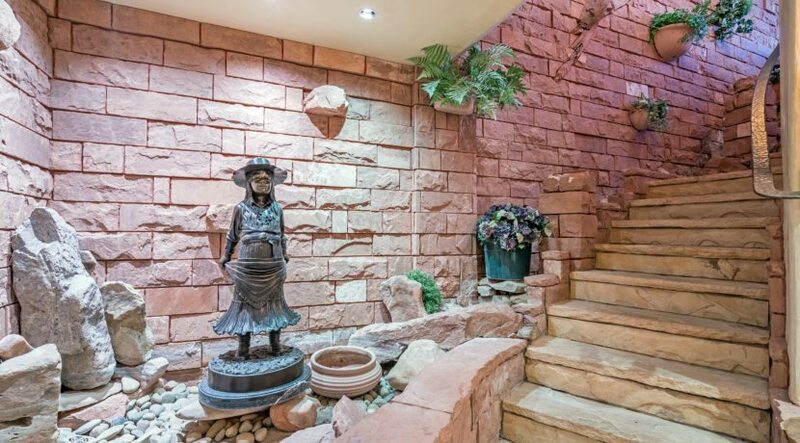 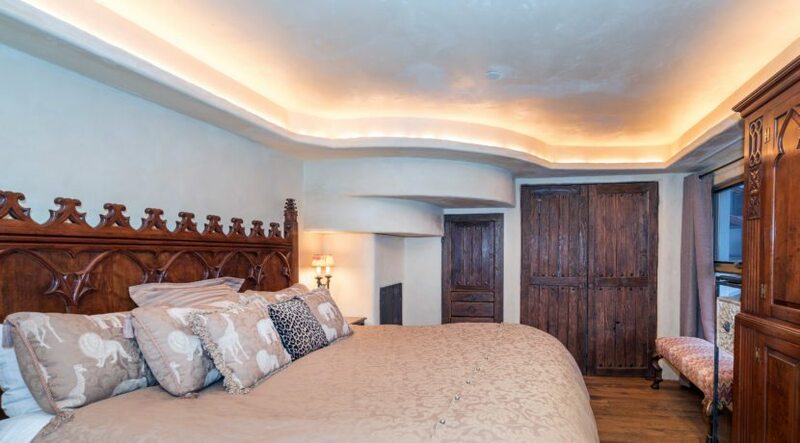 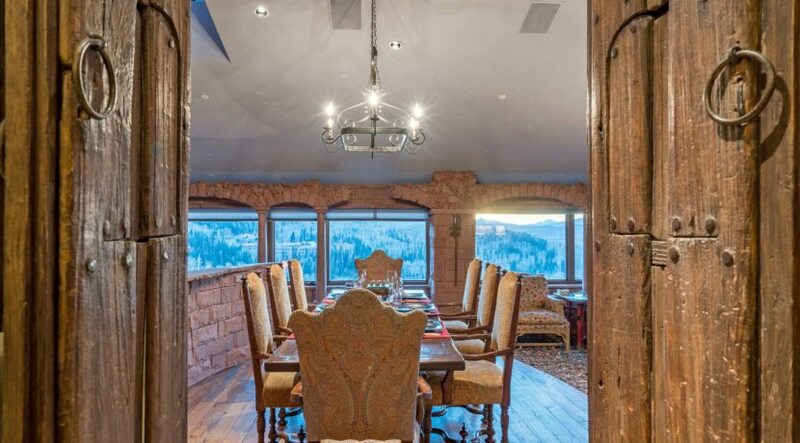 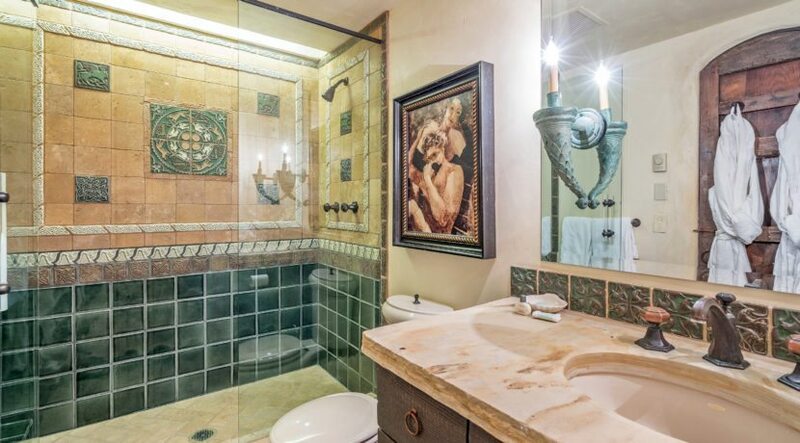 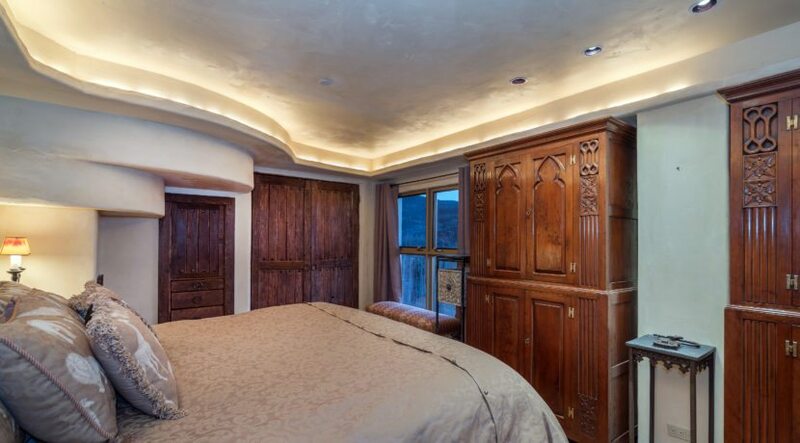 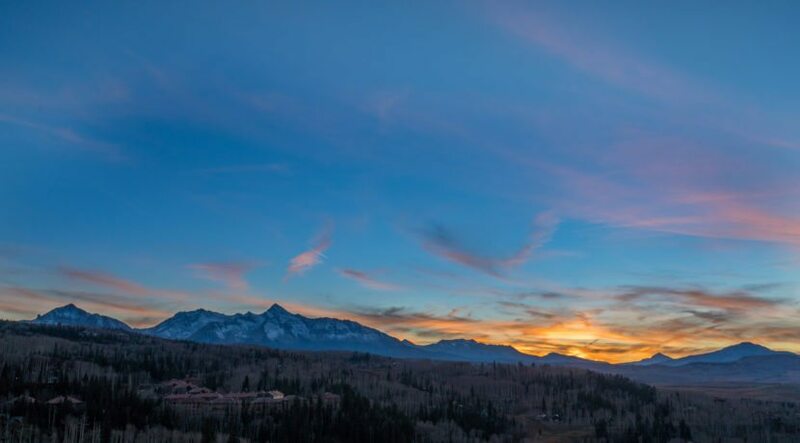 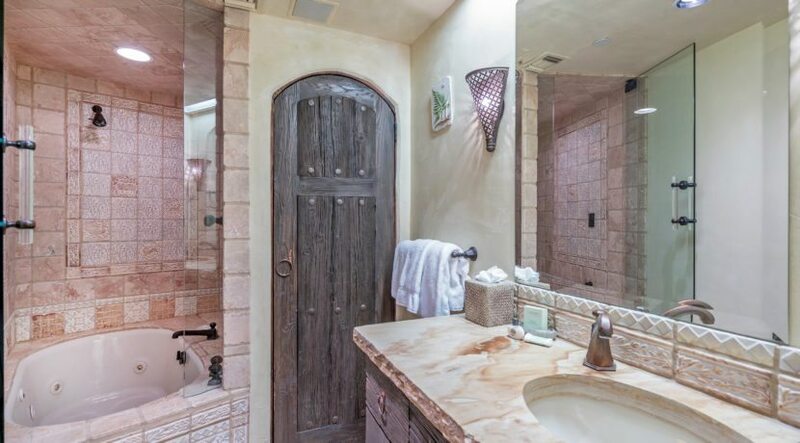 This property is truly one of a kind and perfect for those looking for an adventurous Telluride vacation get away!